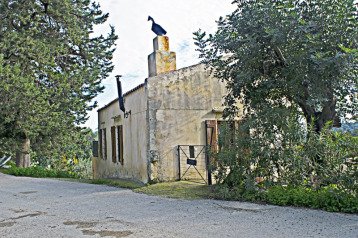 Property for sale in Vafes, Greece. Properties Vafes. 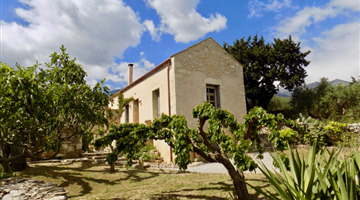 The house is situated in Fres which is one of the larger villages of the Apokoronas with approximately 350 inhabitants. It is dominated by a grand church and charming village square, a splendid place to pass the time in the summer months as it has a small taverna and several kafenions who serve food. It also has a small mini-market, a bakery, and a butcher. The slightly larger villages of Vamos and Vrisses, with a bigger range of facilities and a comprehensive range of shops and restaurants, are 10 minutes drive away. There are lovely beaches at Georgioupolis and Kalives 20 minutes from the house. There is a network of footpaths in and around Fres accessed directly from the house and so it is possible to walk without taking the car. Fres is a thriving, busy, working village and thus is inhabited all year round.